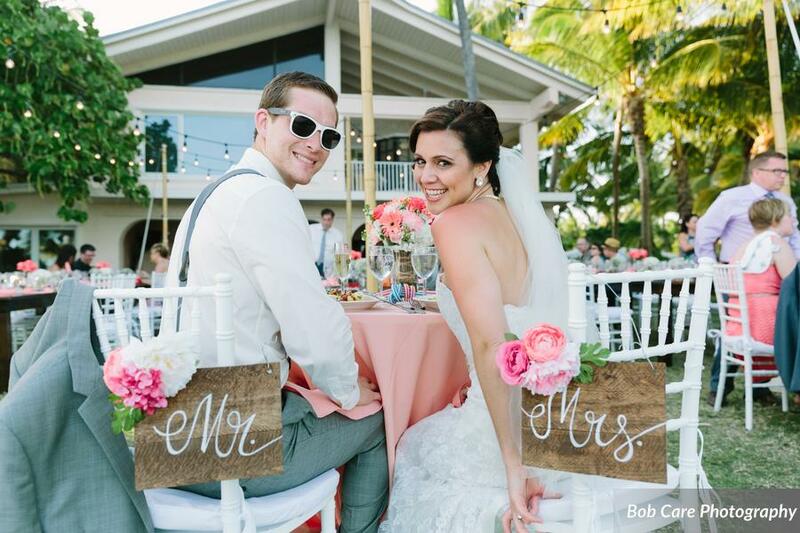 The Florida Keys has been a growing destination event and wedding spot over the last few years. 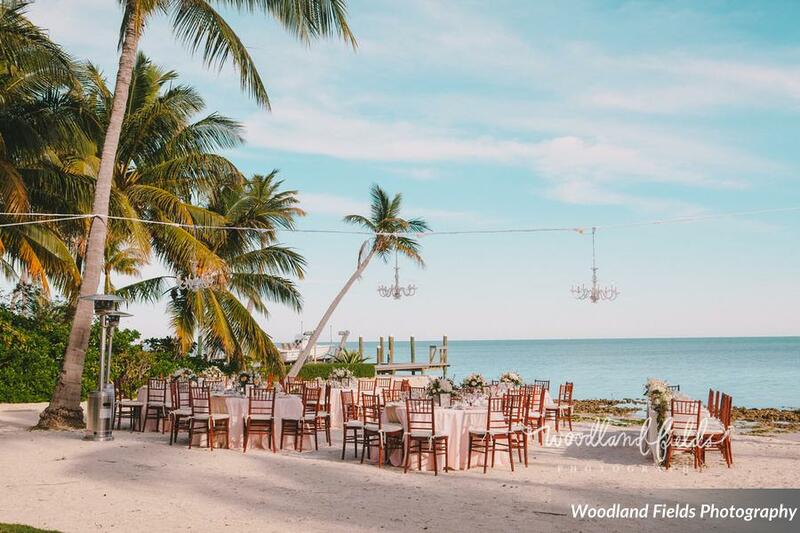 Blue Water Weddings has had the pleasure of being able to show brides some amazing Florida Keys Wedding venues to choose from. The venue is so important as it sets the tone of the style and feel of the wedding you dream of. 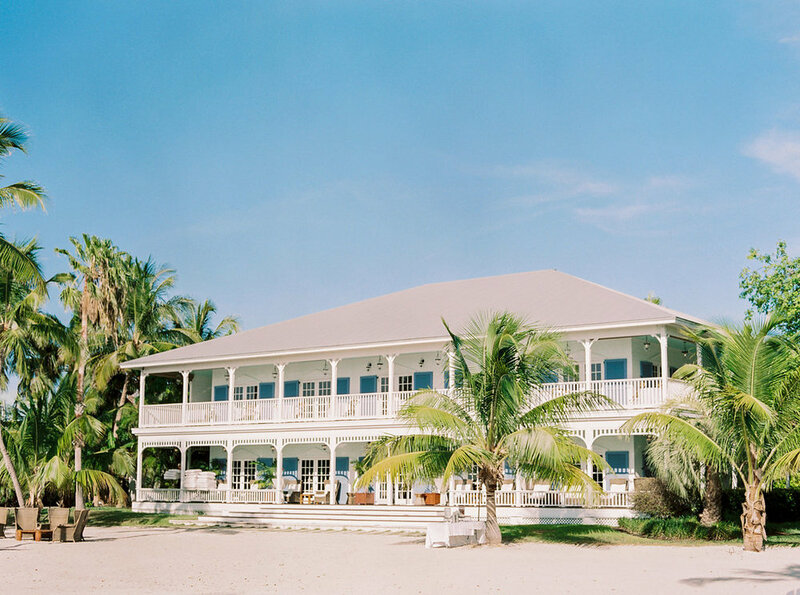 Below are a handful of Florida Keys venues Blue Water Weddings has had the pleasure to work at. 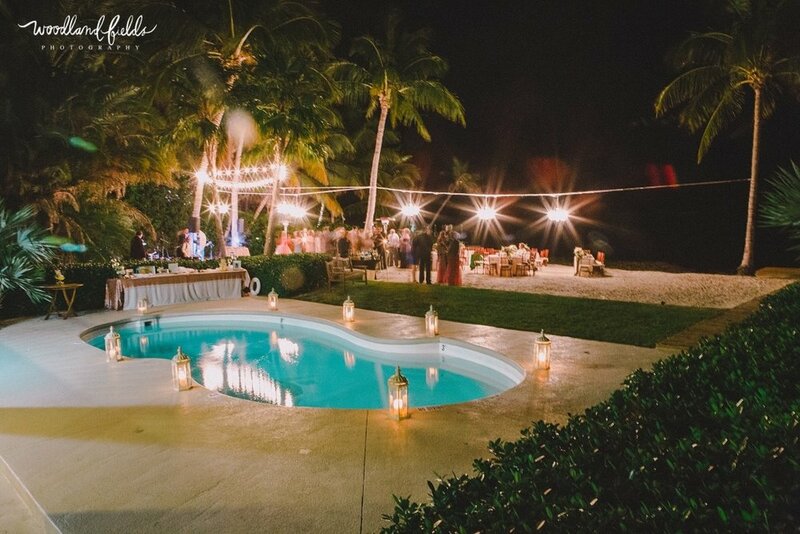 They are in no particular order, but they all have their own unique style and offer guests a destination wedding experience to remember. This “private inn” concept to a destination event works perfectly for a wedding weekend. 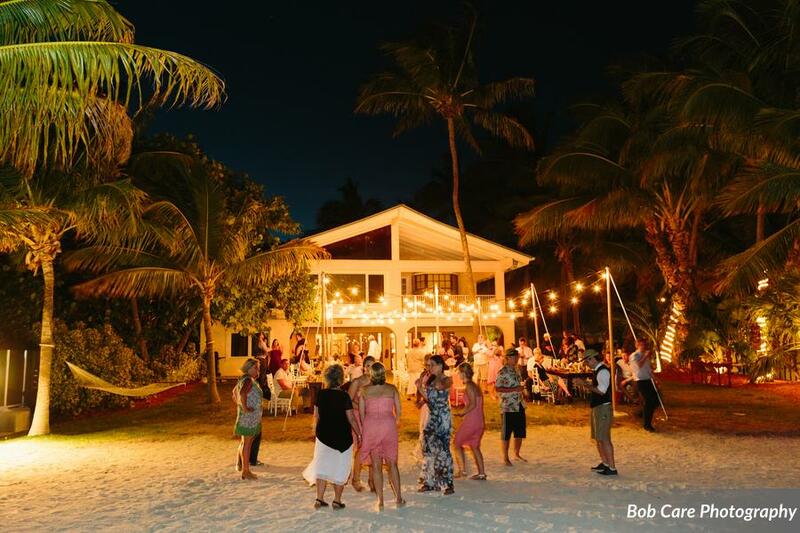 You and your guests would have the Inn privately for the weekend, treating this Florida Keys Venue like your home for your guests to enjoy. With 19 rooms, sleeping approx. 50 guests and inviting the rest to come on over to enjoy a BBQ pool side, fishing, paddle boarding and kayaking by day, this is the place to create memories. Throughout the weekend enjoy your welcome dinner, then ceremony and reception all on the same property. 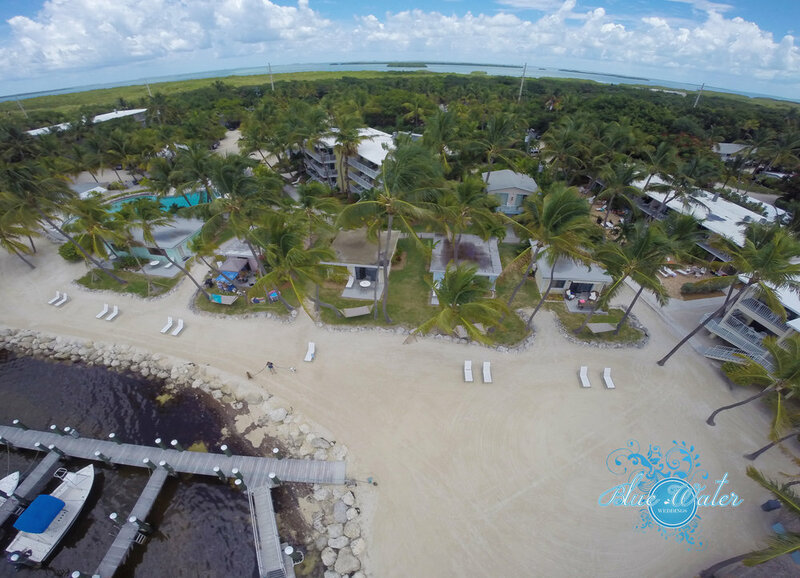 Located in Tavernier (Key Largo Venue), Coconut Palm Inn is a must see. This private home idea allows guests to stay together at a hotel for the weekend, but on the wedding night they enjoy the privacy of a boutique backyard style destination event. At a private home, you can customize your event to exactly what you want, and save allot of money on the bar since you would be bringing that in on your own. 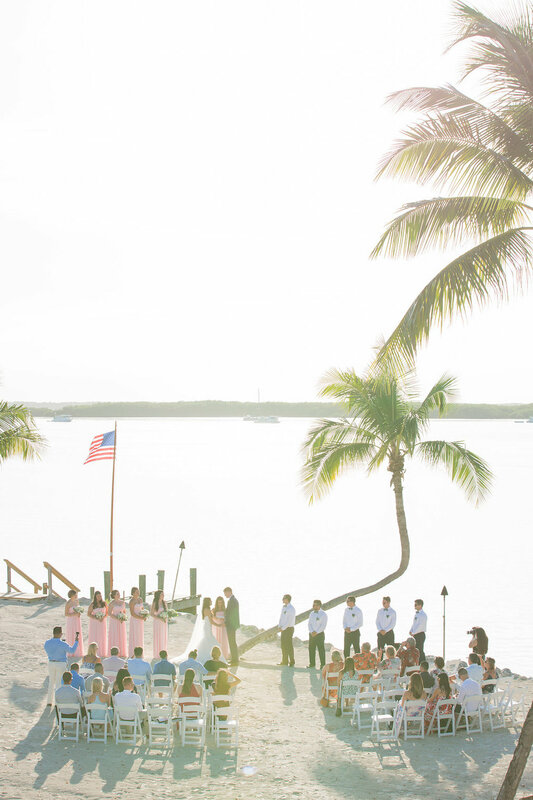 Located conveniently in Islamorada, this private home is one of Blue Water Weddings favorite spots. 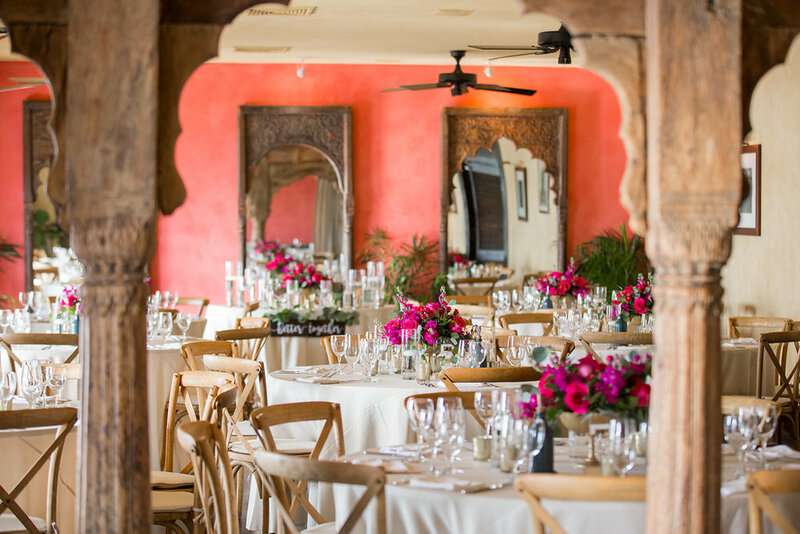 La Siesta has the best of both worlds for weddings. It offers a place where all of your guests can stay together in a hotel, but also offers the privacy of a home to rent on the same property. 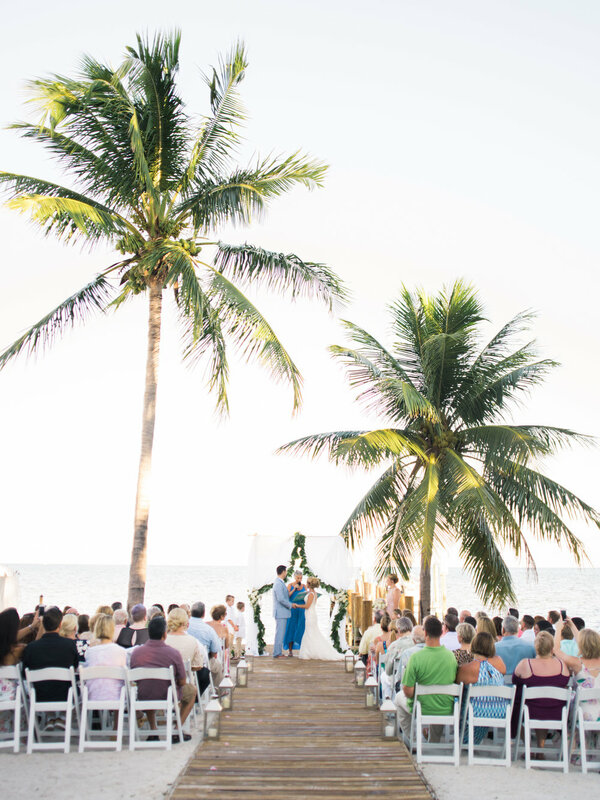 They have numerous wedding packages for a boutique backyard wedding, or for the larger events, they have a beautiful ocean side Florida Keys beach. 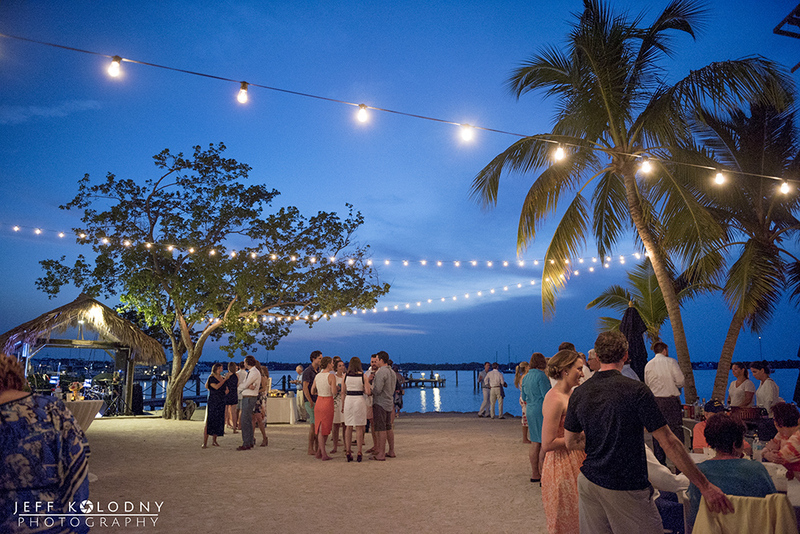 A perfect Florida Keys Destination Wedding Venue. 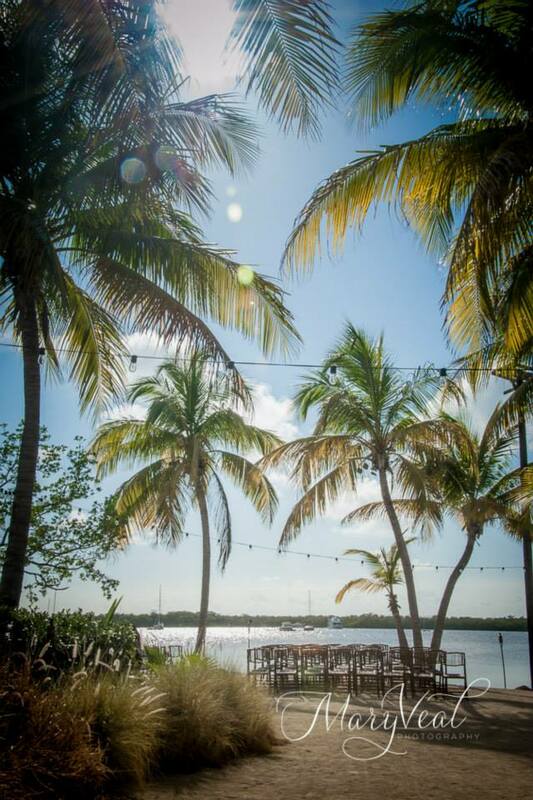 One of the most beautiful spots in all of the Florida Keys, Pierres and Morada Bay sit in the heart of Islamorada on the Bay side (sunset side). This is a restaurant style destination venue so your guests can all stay at a hotel and enjoy the evening at another location. 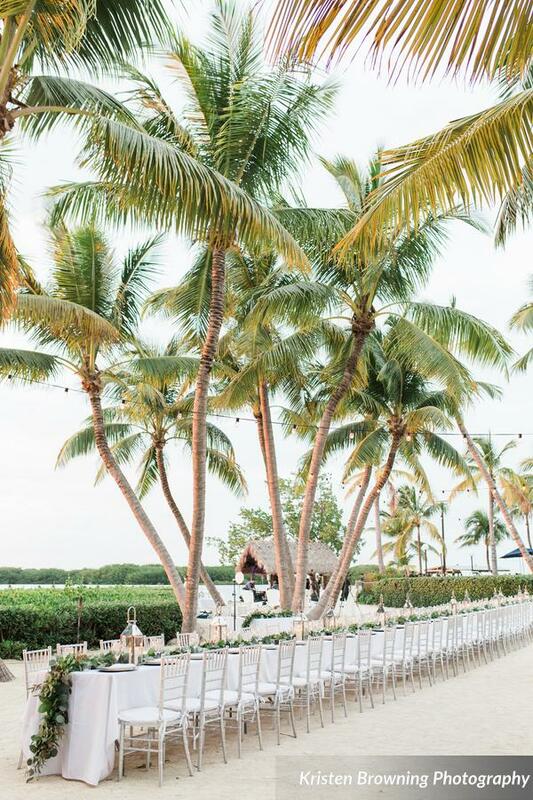 The famous leaning palm, gourmet chefs and outstanding ambiance and views make this a must see for Islamorada Wedding Venues and destination events of any size.